We are very blessed to have Reverend Nancy Gillard as our pastor. Rev. Gillard joined us with more than 30 years experience as a Presbyterian minister of word and sacrament. She has experience in the pulpit serving urban, suburban and rural congregations. Ministry experiences in local congregations include youth, interim/transitional pastor, pastor head of staff and solo ministry. Additional service to the church includes presbytery committees, synod activities and delegate to the 1999 and 2010 General Assemblies. 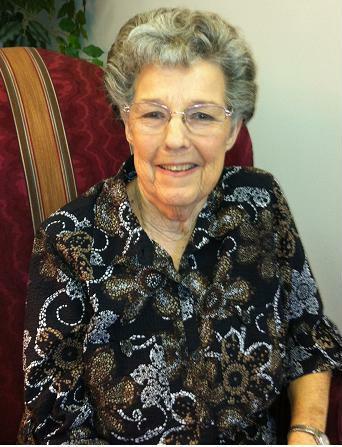 In addition to the ministries with churches she has served as a hospital chaplain, hospice bereavement and volunteer coordinator, case management with Division of Family Services and at the Community Counseling Center in Cape Gerardeau. Rev. Gillard earned a bachelor of science degree in journalism, public relations and marketing from Texas Christian University in Fort Worth, TX and a master of divinity degree in theology from Fuller Theological Seminary in Pasadena, CA. Rev. Gillard has been married to her husband, Grant, for 32 years. 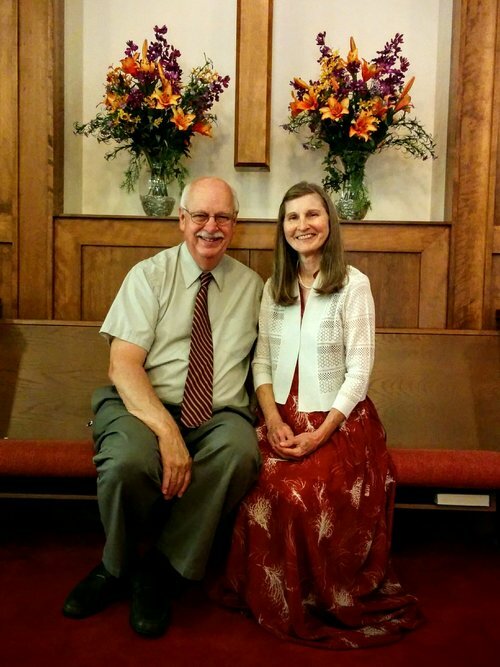 They met in seminary and have both served in the Presbyterian Church all those years. Grant recently resigned from First Presbyterian Church in Jackson, MO after serving there as pastor for 25 years. The Gillards have 3 grown children: Barbara, is 30 years old and is in mortgage banking in Kansas City, MO. Austin, is 28 years old and is in engineering in Kansas City, MO. Clair, is 25 years old and is in cosmetology in Phoenix, AZ. Both Mark and Gay are retired from careers as music educators in the public school system. I am a retired elementary teacher after 31 years in education. My husband Ken and I have been married for 41 years. We moved to Calhoun, MO 26 years ago just before my husband retired from the United States Air Force. I am originally from this area and have a large extended family living her. We have two grown, married sons, Matt and Drew and two wonderful daughters-in-law﻿ who are both named Melissa. They have given us six precious grandchildren. I feel truly blessed to be the secretary at First Presbyterian Church. Neil Crayden was born in Eusitis, FL and attended schools there. He then started working in the banking industry until he was drafted in 1950. After 2 years he was honorably discharged and returned to work in banking. In 1952 Neil married Ida May Carleton, who passed away in 2006 after a battle with cancer, and to that union was born Diane, Neil Jr., and twins Sharon and Karen. In the early 1960’s the family moved to Clinton where Neil joined the staff of a local bank. He worked in banking 51 years, retiring in 1999 and returned to Clinton where he lives now. The family was a member of the Presbyterian Church in Florida and transferred their membership to FPC Clinton in 1968. He is an elder, a deacon, a Sunday school teacher and since 2004 has been church custodian. Neil is very active in the community, serving on 2 city committees, member and past president of the Sunrise Optimist Club, Henry County Historical Society, Clinton Area Chamber of Commerce, and Golden Valley Shrine Club. He is a member of Boy Scout Tribe of MIC-O-SAY, and a member of Clinton Senior Center Service Board. He likes sports, especially tennis, and enjoys being outdoors working around the home. He loves his family and is proud grand grandpa to 10 grand-babies. ﻿Hello! Welcome to First Presbyterian Church. My name is Mary Hubbard. My husband and I moved to Clinton, Missouri in 1989. My husband was an elder in the church and I now serve as the financial secretary.